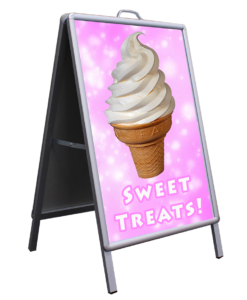 Our weatherproof signage is an ideal way to promote your business or event. We offer a variety of materials for every need. 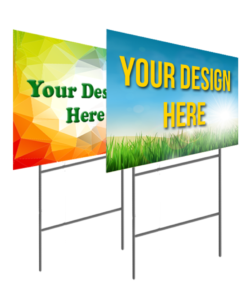 Rigid Coroplast is typically used for yard, parking, real estate, and election signs. They are waterproof and can be used in a frame or with metal wire H-Stakes. 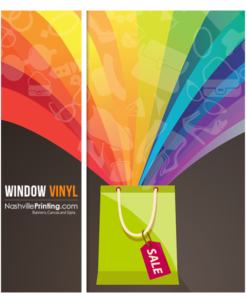 Window vinyl is near photo quality and ideal for POP signage on glass or glass-like smooth clean surfaces. They are printed on a glossy material and can be used indoor or outdoor. This is adhesive vinyl, not static cling. These are not “See-Through”, they are solid opaque graphics. A 4mil white flexible vinyl with a 50/50 “See-Through” perf dot. 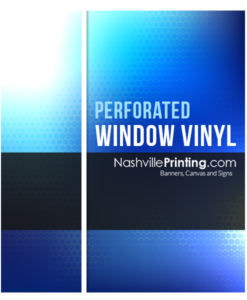 This perforated window film is designed for production of see-through printed graphics for windows. Recommended for use on flat vehicle windows or retail store windows. 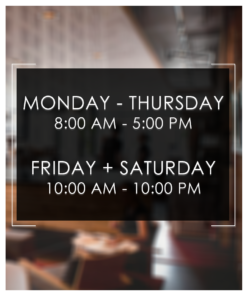 Cut vinyl Lettering is like a moving advertisement for your business. Use Vinyl Lettering to get your company logo or any contact information on a vehicle, piece of equipment, trailer, or any clean flat surface. Appropriate and strategic design of vehicle lettering helps in enhancing your business in the most cost effective way. 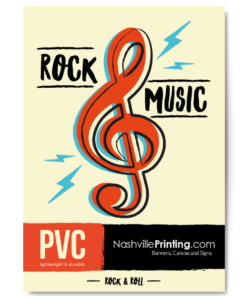 If you do not have a print ready design, NashvillePrinting.com can help you in designing the most appropriate Lettering according to your size and needs. Vinyl lettering does not damage the paint of your vehicle while taking it off (assuming you follow the removal instructions properly).